‍Wet the bulgur with the water. set aside until the bulgur is softer. Knead in the flour, the spices, the pepper paste and the oil. Incorporate the mashed potato until you obtain a firm dough. 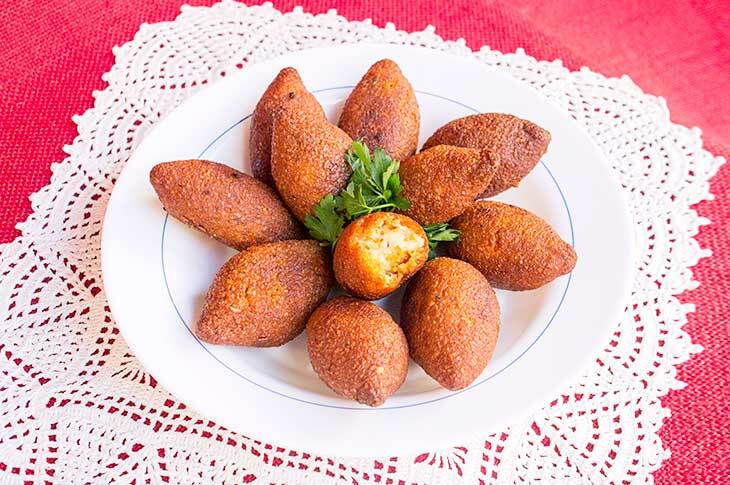 ‍Deep-fry the kibbeh until golden brown. We usually serve potato kibbeh with Trkhana soup. It's kind of a family tradition.